Do you want to enhance your home’s curb appeal and increase its value? Silly question, who doesn’t right? Well, great news is there is a way to do so without having to undertake makeovers that would cost you a fortune. 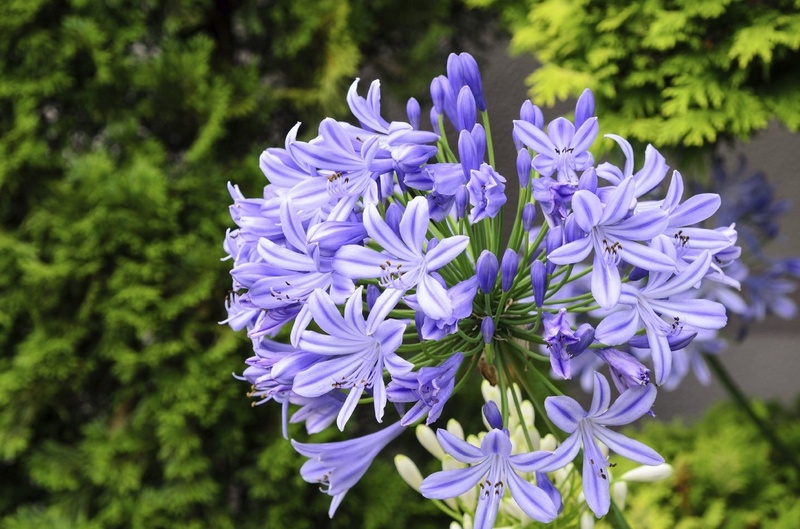 The secret lies in making use of the beauty of plants to your advantage, like that of agapanthus. Available in about ten species and as of late numerous varieties, both deciduous and evergreen, as well as in colours, from white to blue, purple and pink flowers, these are plants that captivate with their exotic looks. Also known as Lilies of the Nile, they are native to South Africa, which means they are tough plants ideal for the Australian conditions, and do well in warmer and cooler areas (depending on the variety, that is). This gives you the option to grow them planted right into the ground, or in containers, whatever is your preference. On the warning side, they are considered to be poisonous which is why it’s important to keep them away from children and pets. If you give them the care and provide them the conditions they require, you can be sure once fully grown the agapanthus would treat you with the lovely sight of lush leaves and colourful flowers. Primarily, this refers to the location. Though they thrive best in full sun, part shade suits them well also. When it comes to the soil, except for the acid prone Agapanthus africanus, the rest of the varieties don’t have preference to specific pH conditions, so they’re suitable for most soil types. Despite the regular watering need, they’re drought tolerant plants, and it’s best to avoid overwatering them. Always make sure the soil is well-drained, and count on the help of mulch to keep moisture at bay. You can take your gardening skills to the next level by making your own mulch from garden waste. Mulching also happens to be a great solution for protection throughout winter. Speaking of winter, some varieties are better suited for it than others, as in the case of deciduous being known as the hardy ones, however it’s important to still keep an eye on the ground to avoid wet conditions. If needed, protect them with fleece during the cold months, or consider keeping them in a sheltered spot. As mentioned, they do well in the ground equally as they do in containers. This gives you the opportunity to use for mass planting and get the natural setting look, bordering either by using the same variety or different for a more distinct outcome, or rely on them as the focal points in your garden thanks to how tall they grow.